From a cabaret with Muay Thai boxing and goats, to a tortilla battle, to a water lantern festival, to a Mexican Independence Day parade, to the never-before-seen plays of William Saroyan, this weekend's got culture and eats and wackiness oozing out of every pore. Yeah, we like to mix our metaphors. FRIDAYS - SUNDAYS, SEPT. 14 - 16 and 21 - 23; 11 a.m. - 6 p.m.
Upper Plaza at FIGat7th — 735 S. Figueroa St., downtown L.A. This art exhibition is designed for canines, with works by L.A.-based artists Meena Khalili, Janne Larsen and Joshua Levine. Four-legged guests are welcome to do their thing: sniff, pee and or nibble on the interactive exhibitions. One dog per person and that dog must be on a leash and well-behaved with other dogs. There are dog adoptions both Sundays of the pop-up and a "yappy hour" on Friday, Sept. 21 from 4 to 6 p.m. 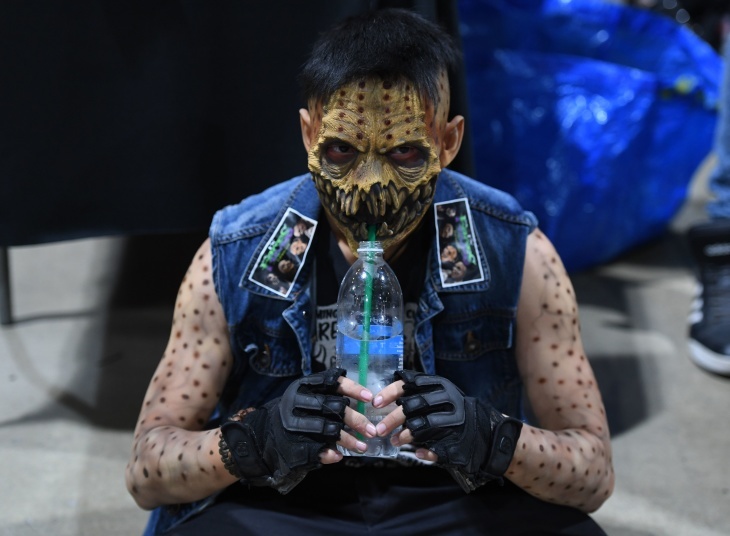 This expo is tailored to fans of all things horror — films, collectibles, toys, special effects, makeup, art. Check out more than 150 vendors, presentations, demos and celebrity guests including Kathy Najimy, Fairuza Balk, Annabeth Gish, Joanna Cassidy, Lori Petty and The Chiodo Brothers. 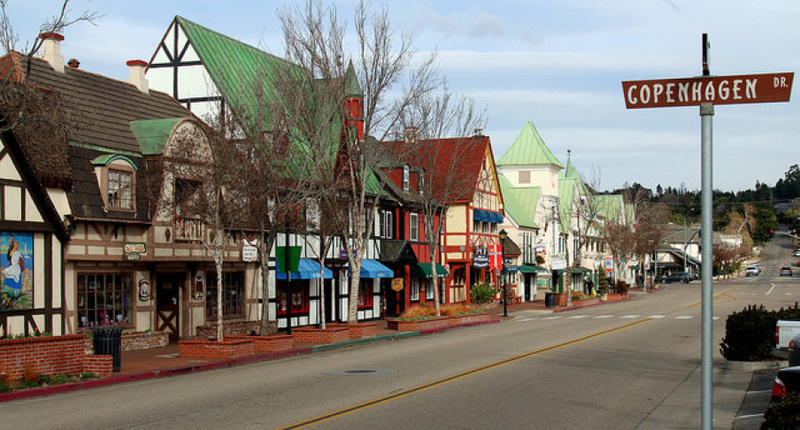 If you're in the mood for a day trip, head to the Santa Ynez Valley for a celebration of the Solvang's Danish heritage. Sure, it's a little kitschy but two words make it worth the drive: aebleskiver breakfasts ($7 - $8). The pancake balls, served with jelly and powdered sugar, are a delight. Trust us. The weekend also features parades, folk dancers and Danish musicians performing all over town. 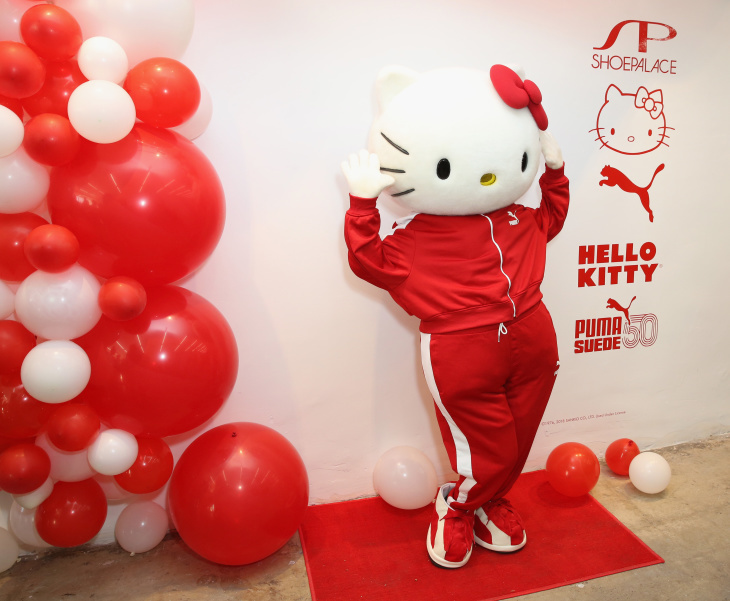 Sanrio's beloved cat gets her own cafe with grab-and-go and menu options served all day. The Bow Room inside the cafe offers a reservation-only afternoon tea and, for those 21+, a bar program after 5 p.m. Some of the cocktails have a Hello Kitty twist, such as the "You Had Me at Hello" (Cachaca, aperol, lemon, sherry and pineapple, $21) and the "Matcha Matcha" (Japanese whiskey, yogurt, matcha, yuzu, $15). FRIDAY, SEPT. 14; 7 p.m. This New Orleans-style party features a great lineup: Trombone Shorty & Orleans Avenue, Galactic, Preservation Hall Jazz Band, New Breed Brass Band, Cyril Neville, Walter Wolfman Washington and Kermit Ruffins. FRIDAY, SEPT. 14; 6 - 10:30 p.m.
Party like it's 1988 at the final installment of the L.A. Zoo's adults-only summer series.DJ Richard Blade spins his favorite tunes at the "'80s Night Encore" and the band Flashback Heart Attack plays live. Dance at the Silent Disco or indulge in adult beverages and food truck fare, available for purchase. Arrive on the early side to experience curated animal encounters, play lawn games and view animal-inspired artworks. This event is 21+. Move over, pumpkin spice. 'Tis the season for scares. 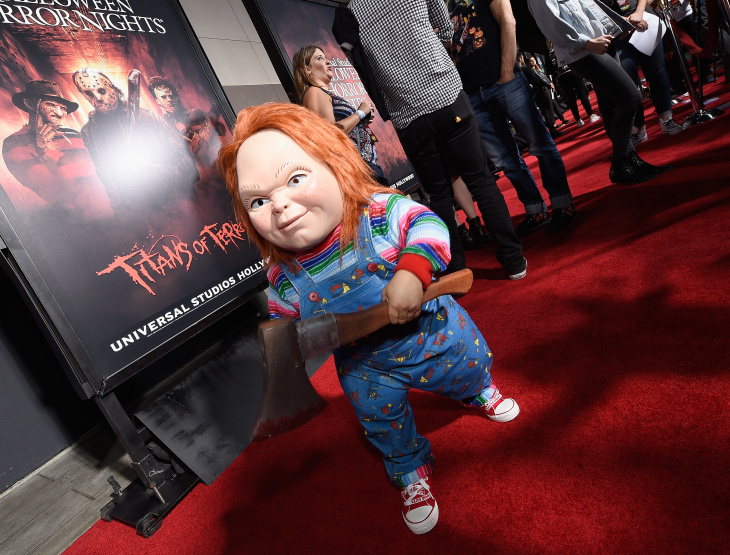 Universal offers eight frightening, immersive mazes based on popular films and TV shows, including "Stranger Things," "Poltergeist," "Halloween 4: The Return of Michael Myers," "The First Purge," "The Walking Dead" and "The Horrors of Blumhouse: Chapter Two." FRIDAY, SEPT. 7; 1 p.m. The director presents and signs his "Big Trouble in Little China" comic collection, which he co-wrote with Anthony Burch ("Borderlands 2") featuring illustrations by Jorge Corona. The book is an authorized sequel to Carpenter's hit film, "Big Trouble in Little China." You'll have to buy the book at Book Soup in order to get it signed by the authors, and Carpenter will sign two additional items. No photos. FRIDAY, SEPT. 14; 8 p.m. The performance series presents a mix of concert and film music every Friday in September. Next up is composer Rolfe Kent's "The Concert Goes Awry" featuring music from "Dexter," "Sideways" and "Up in the Air" as well as a guided singing experiment with the audience. Kent will direct the audience as they perform colorful melodies, which will be recorded and looped for use later in the show. Douglas McGrath wrote the book for this jukebox musical that tells the story of songwriter Carole King's early life. The show covers her days as part of a hit songwriting team, with her husband Gerry Goffin, as well as her successful solo career. Sarah Bockel stars in the titular role. SATURDAY, SEPT. 15; 7 p.m.
With 37 million albums sold, Los Tigres may be the most popular and succesful Latin music act in the world. 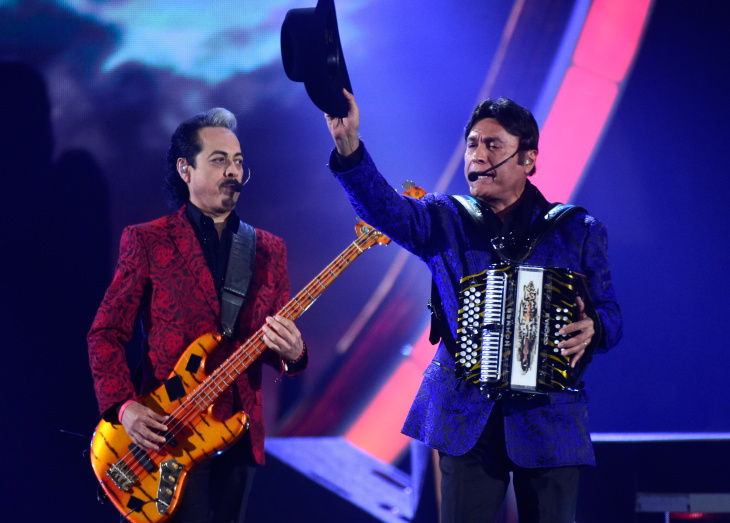 This weekend, they also become the first norteño act to headline the Bowl. It couldn't happen on a more fitting night, the night before Mexican Independence Day. They'll bring their guitars, accordions and evocative story songs to a show where they'll alos perform with the Youth Orchestra of Los Angeles. SATURDAY, SEPT. 15; 5 - 10:30 p.m.
L.A. City Hall — 2200 N. Spring St., downtown L.A.
Los Tucanes de Tijuana headline this festival that kicks off Latino Heritage Month (which runs Sep. 15 - Oct. 15) while celebrating the Independence Days of Mexico, Chile, Costa Rica, El Salvador, Guatemala, Honduras and Nicaragua. At 9 p.m., officials from the city of L.A. and from Mexico will re-enact the historic Cry of Dolores and ringing of the bell. Los Angeles Public Library — 630 W 5th St, Los Angeles, downtown L.A. 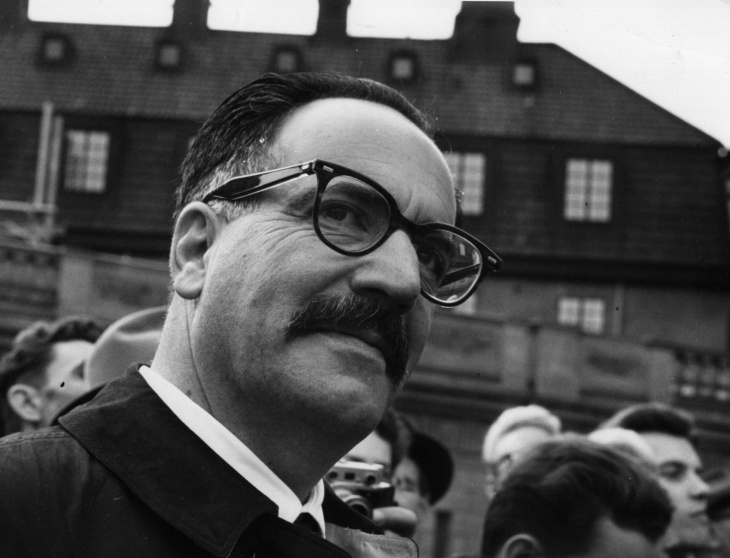 The Armenian-American playwright and novelist is best known for works like "The Time of Your Life" and "The Human Comedy." The Library's "L.A. Made" series explores William Saroyan's lesser known dramas, presenting the world premiere of never-before-staged scenes from "The Armenian Play (or Opera)," "Home to Hayastan" and "Ouzenk Chouzenk Hai Yenk" ("Like It or Not, We're Armenians," which explore themes of immigrant life, genocide and repatriation. Seating is on a first-come, first-served basis. A reception follows. SATURDAY, SEPT. 15 - SUNDAY, SEPT. 16; 5 - 10 p.m. The festival brings people together for a celebration of life, light and community. Food trucks and music entertain guests early in the evening. 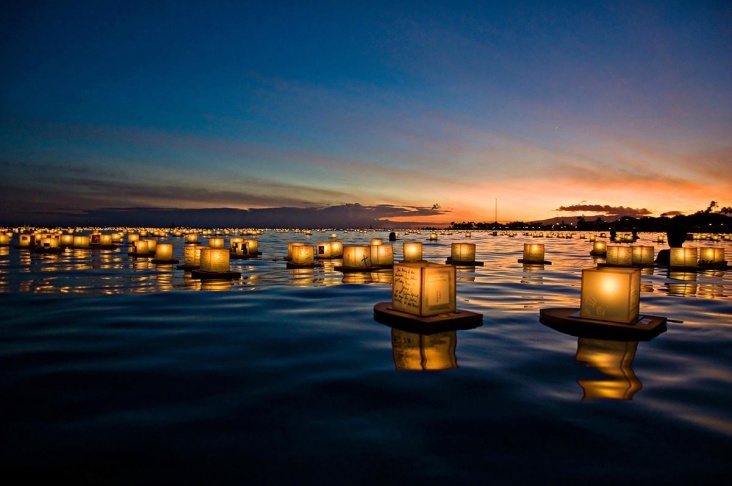 Lantern-decoration beginning at 7:30 p.m. Then the launch of the lanterns takes place from 8 to 9 p.m. Festival organizers are dedicated to environmental sustainability and will pick up trash, rice-paper and wood lanterns after the event. Tickets still available for Sunday. SATURDAY, SEPT. 15; noon - 10 p.m. This is a retro music and lifestyle festival that features "21st century bands with a 20th century sound." The lineup includes The Shelters, Las Cafeteras, Black Joe Lewis & The Honeybears, Eryn Allen Kane, Low Cut Connie, The Dip, The Explorers Club, Dustbowl Revival and The Flux Capacitors. There's a vintage marketplace and interactive exhibits, including old-timey photo booths and an arcade with old-school games. SATURDAY, SEPT. 15; 6 p.m.
Laetitia Tamko's indie pop project closes out the Off the 405 summer concert series. The music of the New York-based (by way of Cameroon) artist is inspired by her cultural duality and engineering background. She blends West- and East-African music with punk and electronic sounds. Nicole Miglis of Hundred Waters DJs an opening set. Resident — 428 S. Hewitt St., downtown L.A. The Color and Light Theatre Ensemble presents Lizzie Borden's story — with music. In 1892, Borden was accused of hacking her parents to death with an axe. Writers Steven Cheslik-DeMeyer, Alan Stevens Hewitt and Tim Maner turn her story and trial into modern musical theater set to a soundtrack of rock, heavy metal and riot grrrl punk. SATURDAY, SEPT. 15; 7 p.m. - 2 a.m.
A warehouse — 1704 S. Hooper Ave., downtown L.A. The variety show has a little something for everyone: short films, live music (including a tribute to Serge Gainsbourg), a Muay Thai boxing match, an art gallery, goats, clowns, drag queens and mariachi. Fantasy, western or extreme formal wear are encouraged. No T-shirts, cheap jewelry, sandals, shorts or baseball caps. SATURDAY, SEPT. 15; 6 - 10 p.m. Artist Chelle Barbour debuts a surreal photo collage series in her first solo show, which was co-curated by actor Angela Bassett. 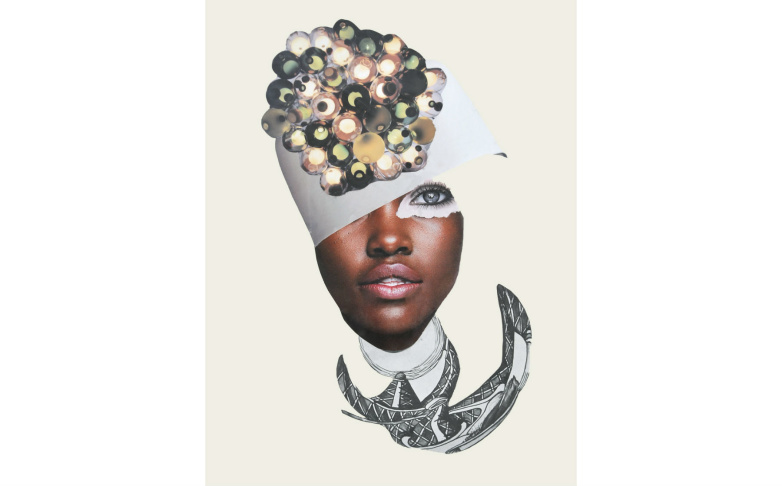 Barbour's work "reconfigures and empowers the black female imaginary" through the use of photos found in books, magazines and other materials. The show will remain on view through Oct. 13 and an artist talk is slated for Oct. 6 at 4 p.m.
SATURDAY, SEPT. 15; 1 - 3:30 p.m. The Latin American Cinemateca of Los Angeles presents a showcase of three short films from the Morelia (Mexico) International Film Festival: "Relato familiar," "Coyolxauhqui" and "El sonido que vemos: CDMX." A live performance by El Río precedes the screening. SATURDAY, SEPT. 15; 3 - 10 p.m. The festival takes over the city block in front of the theater, with an artist market, workshops, kid activities, public art installations and a 21+ craft beer garden curated by Brewyard Brewery. The lineup of live music includes Allah-Las, Georgia Anne Muldrow, Jesse Jo Stark, La Chamba, Thumpasaurus and The Altons. SATURDAY, SEPT. 15; 12 - 4 p.m.
Festival tickets include unlimited tastings of more than 100 craft and imported beers (among them Barley Forge, Bootleggers Brewery, Lost Winds and Tustin Brewing), craft beer seminars, games and live music by yacht rock cover band Captain's Quarters. Food is sold separately. Leave the kids and dogs at home as this festival is strictly 21+. SUNDAY, SEPT. 16; 3 - 7 p.m. 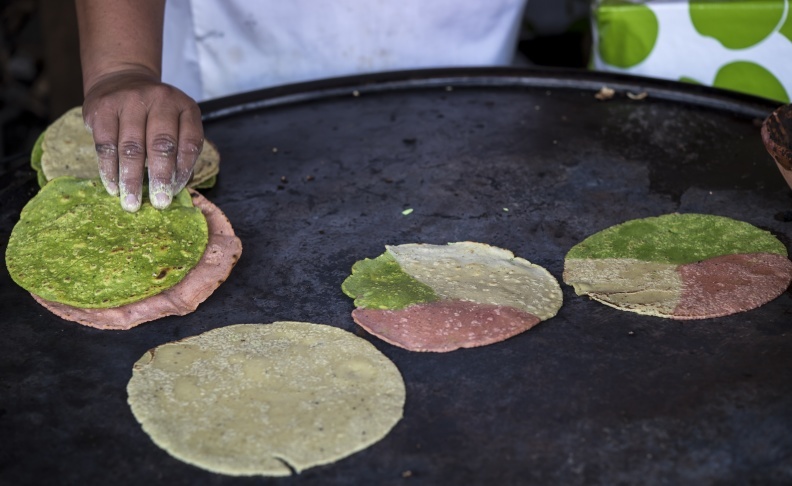 The winner of the Golden Tortilla — earning the title of the best tortillas in Los Angeles — comes down to the Fuerte Four: Kernel of Truth, Taco Maria, Burritos La Palma and Sonoratown. Gustavo Arellano and "Good Food" host Evan Kleiman from radio station KCRW host the battle that will answer the age-old question: corn or flour? Throughout the event, there will also be food vendors, margarita and michelada bars, and tortilla tastings, a tortilla art station, live demos and music. RSVP for entry although admission is not guaranteed. 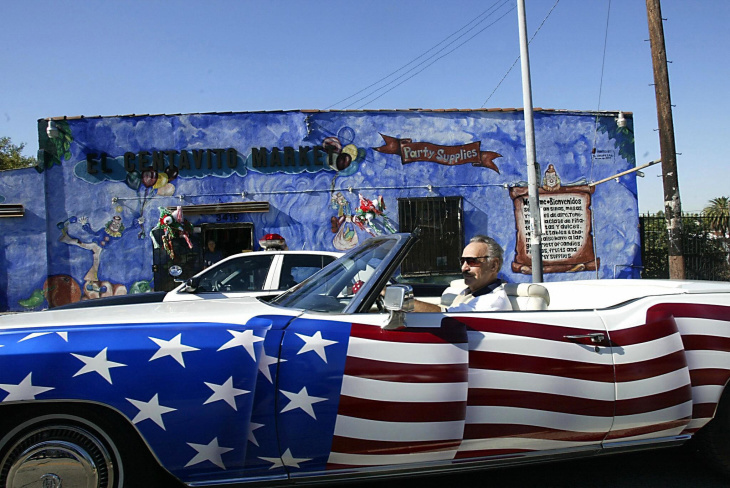 SUNDAY, SEPT. 16, 10 a.m. - 5 p.m.
4914 East Cesar E. Chavez Ave., East L.A. Celebrate Mexican Independence Daywith a parade featuring school bands, equestrian team, folk dance troupes and floats at this 73-year-old tradition. After the parade, there's a festival. Special guests include Banda singer William Garza, retired boxer Oscar de la Hoya and singer/songwriter Mariano Barba, among others. SUNDAY, SEPT. 16; 4 - 7 p.m. Artist Kenny Scharf gives a 2018 Polaris GEM e4 (a golf cart that's street legal up to 35 mph) a little street cred. Adding to his famous car series, Scharf paints live while guests get to watch, drink craft beer (for those 21+) and listen to live music and entertainment selected by KDAY 93.5. The cart will then be raffled off ($100 a ticket) to benefit the Laguna Art Museum. 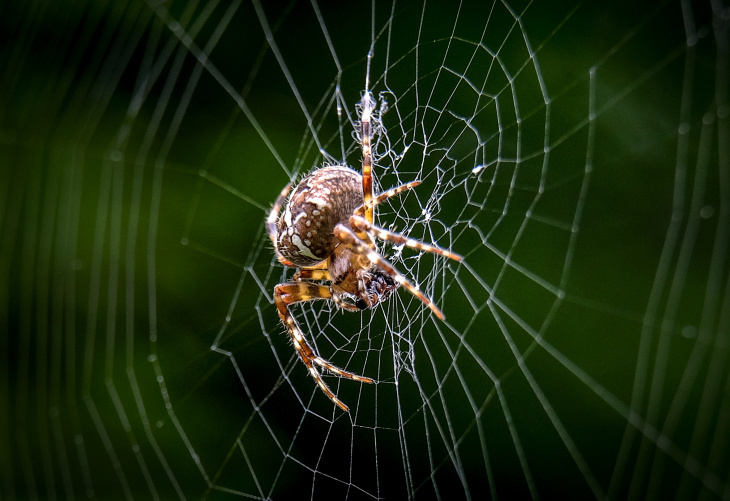 Creepy, crawly arachnids get their turn in the spotlight as a safe, open-air pavilion allows visitors to get up close and watch the spiders — including orb weavers, tarantulas and jumping spiders — do their thing. The museum also presents two art exhibitions: "Wildlife Photographer of the Year" (open now) and "Justin Brice Guariglia Earth Works: Mapping the Anthropocene" (opens on Sunday). 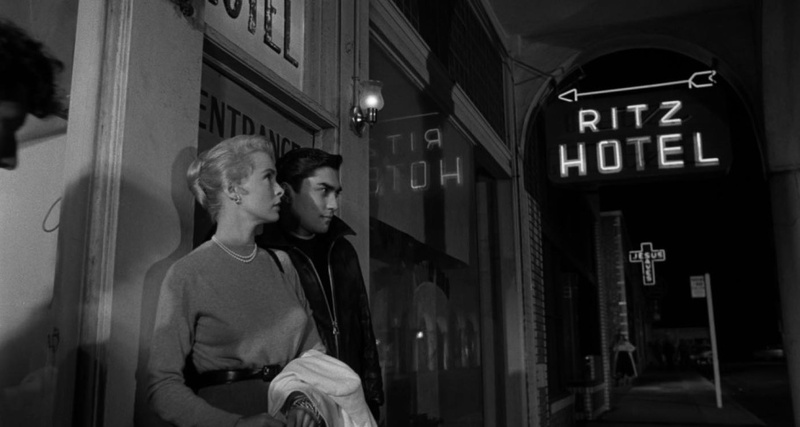 A still from the 1958 movie "Touch of Evil" featuring Venice Beach as a backdrop. SUNDAY, SEPT. 16; 9:30 a.m.
Take a two-hour tour of historical landmarks and recognizable spots in Venice, made famous by film appearances. Author and historian Harry Medved leads walkers to locations including The Firehouse ("Speed"), Venice Suites ("Romy & Michele's High School Reunion"), St. Mark's ("Touch of Evil," "LA Story") and the Venice Canals ("Nightmare on Elm Street"). Wear comfortable shoes. Make reservations by calling the Venice Historical Society at 310-967-5170.